Celebrate the 85th Anniversary of Mickey and Minnie Mouse! In honor of this significant milestone, Jim Shore created a sentimental sculpture featuring America's sweet hearts as they reminisce their early beginnings. 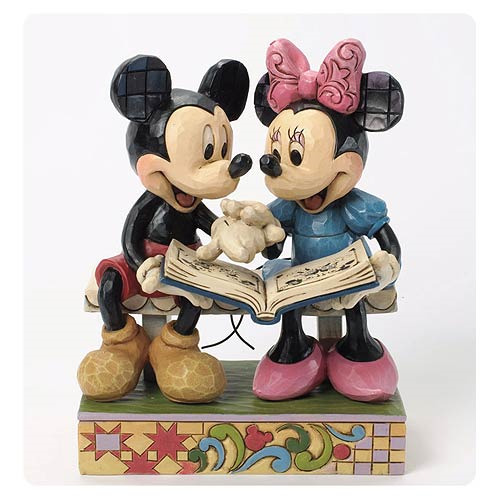 Featuring an anniversary back stamp, the Disney Traditions Mickey and Minnie Sharing Memories Statue is made of stone resin and measures approximately 6 1/2-inches tall x 5-inches wide x 3 3/4-inches long. Ages 13 and up.